October 13th 1969: Delivered to Transanglia Schiffahrts. GmbH (J.A. Reinecke), Hamburg, Germany. 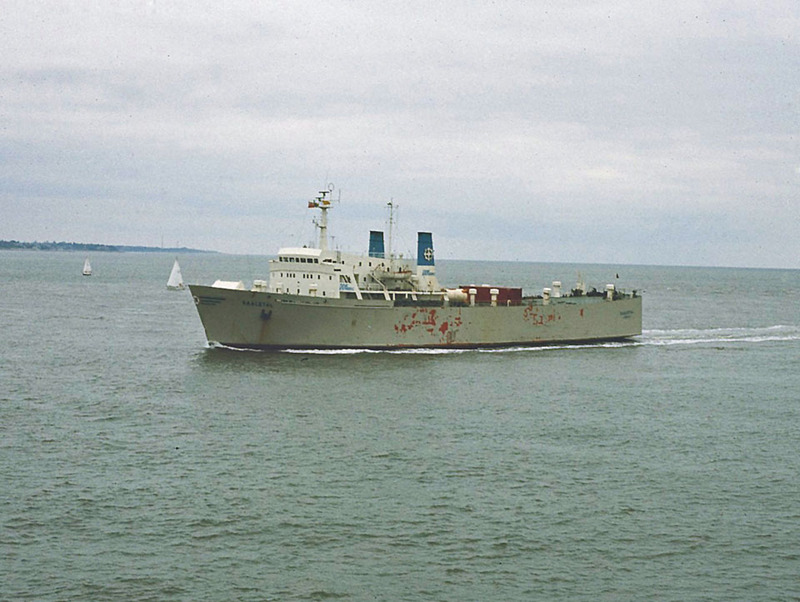 October 1969: Chartered out to Svenska Lloyd, Göteborg for services between Göteborg – London. 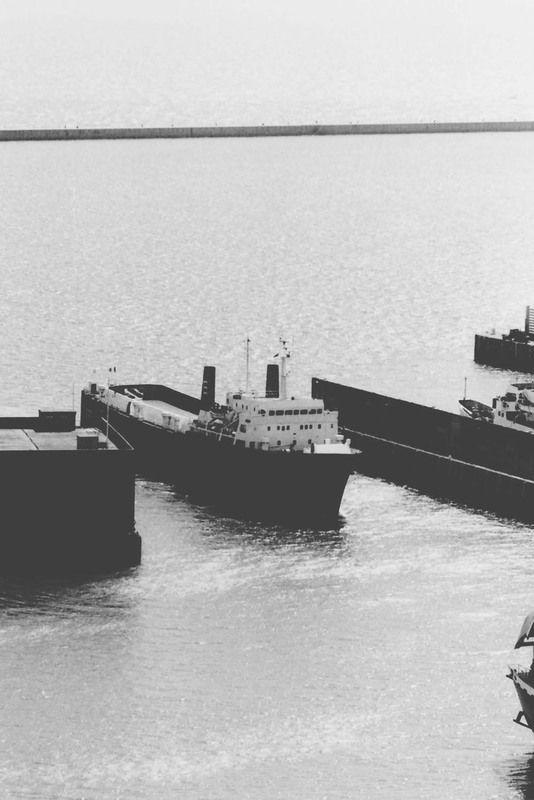 October 21st 1971: Upon completion of her charter she was renamed SAALETAL. 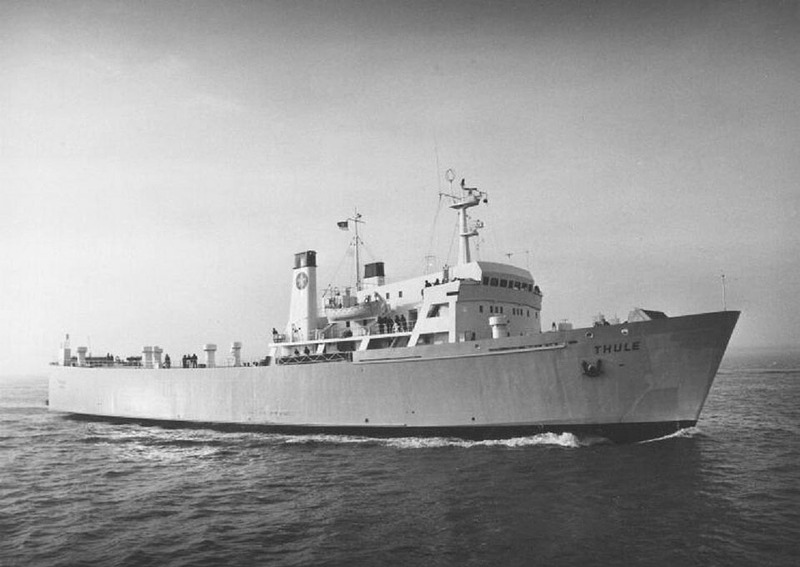 November 1st 1971: Chartered to Coast Lines for services between Heysham – Belfast. March 1973: Two week charter to British Railways Board (relieving DALRIADA) for services between Stranraer – Larne. October 1973: Chartered to D.D. Ferries for services between Felixstowe – Dunkerque. 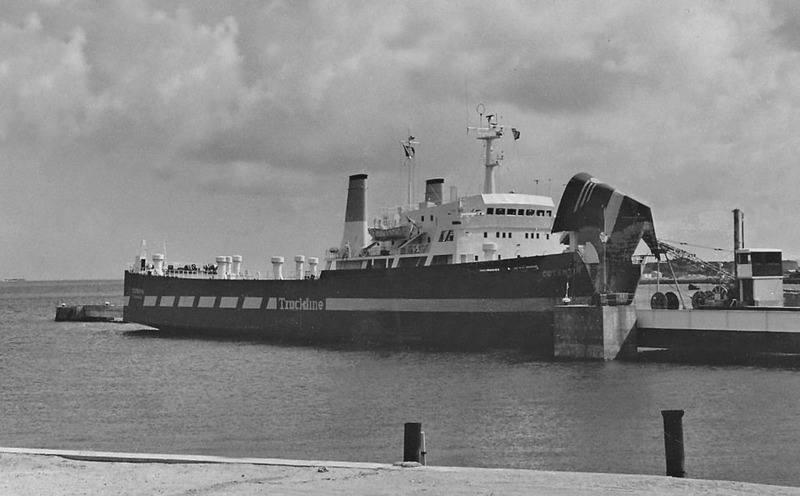 June 18th 1974: Sold to Societe Francaise de Transports Maritimes (S.F.T.M. 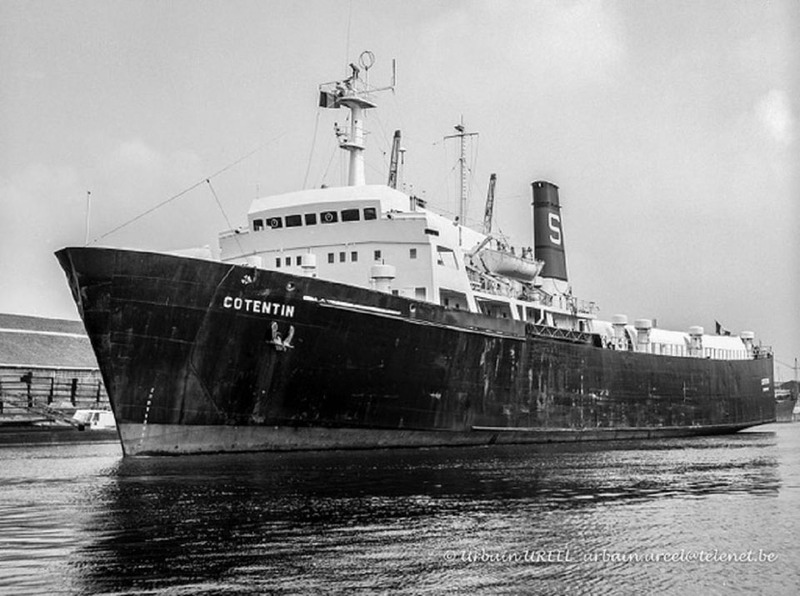 ), Cherbourg, France and renamed COTENTIN. 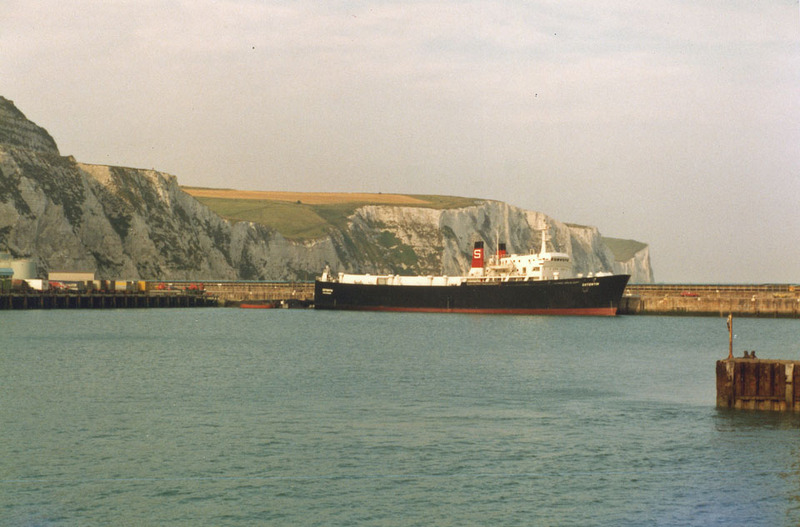 1974 – 1978: Chartered to Truckline S.A., Cherbourg for services between Cherbourg – Poole. 1978: Registered to Soc. Francaise de Transports Maritimes S.F.T.M. & Asmarine S.A., Cherbourg, France. 197? : Operated services between Dover – Ostend. 1978: Commenced services for Schiaffino between Dieppe – Shoreham. 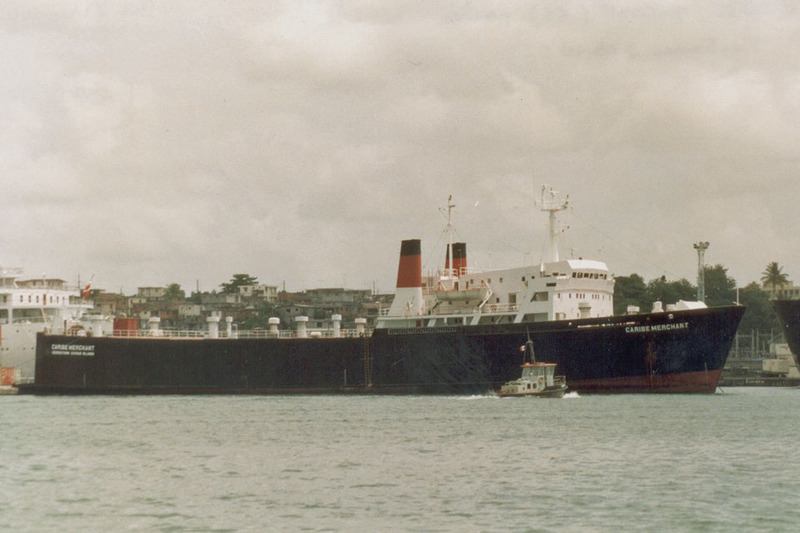 1981: Sold to Consolidadora Maritima S.A., Panama and renamed MIRANDA I. 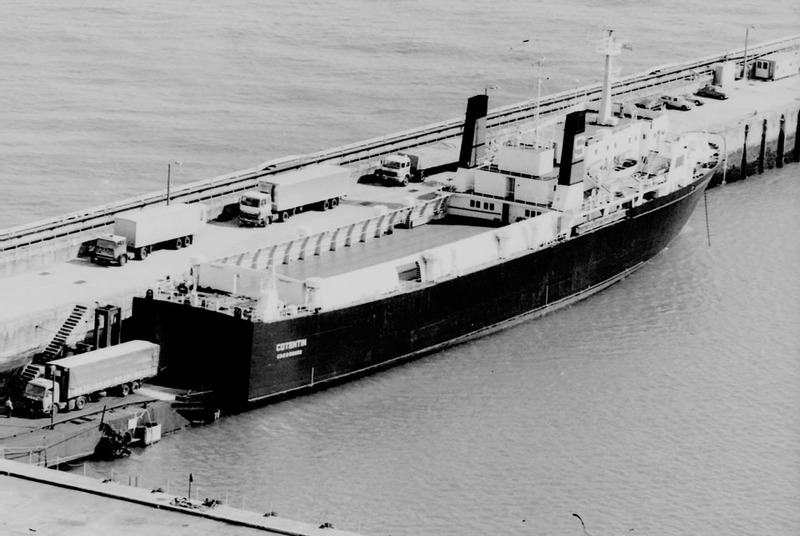 1986: Sold to Crowley American Transport Inc., Georgetown, Saint Vincent and renamed CARIBE MERCHANT. 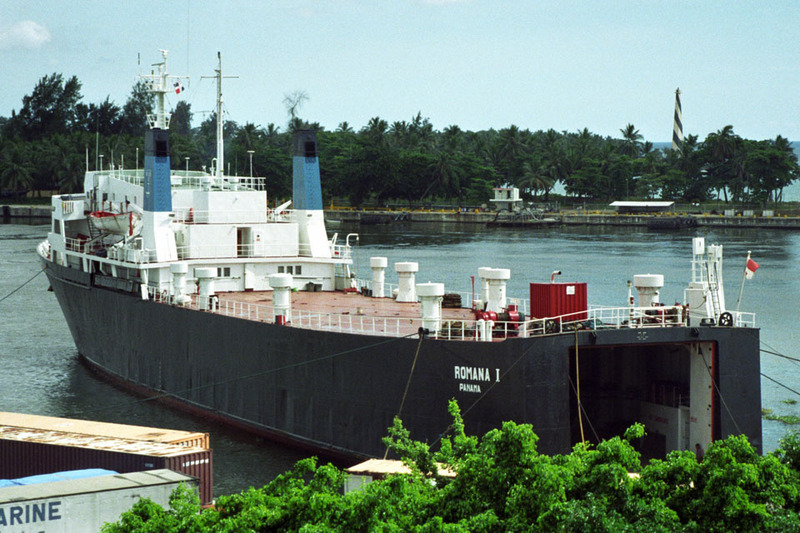 1996: Sold to K/S Kasmi, Panama and renamed ROMANA I. 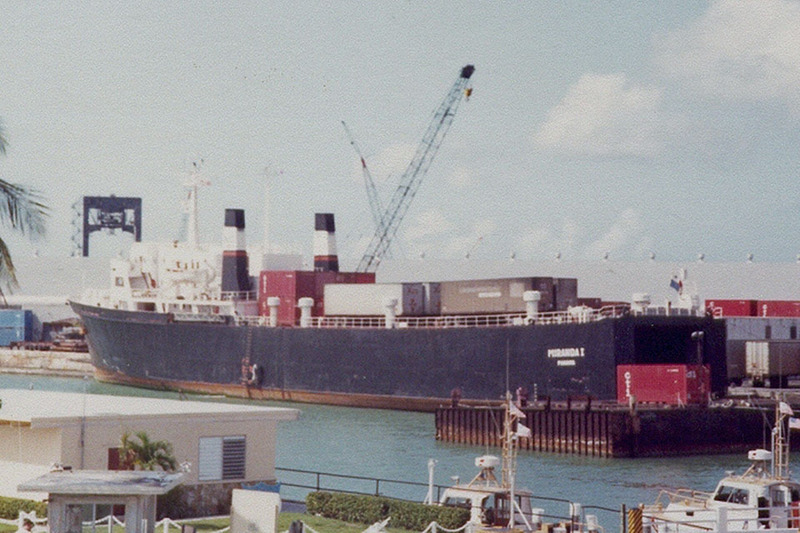 2000: Registered to Maritime Shipping Service, Guaynabo, Puerto Rico. 2005: Sold to an unknown company in Freetown, Sierra Leone. Renamed EL CAPITAIN. 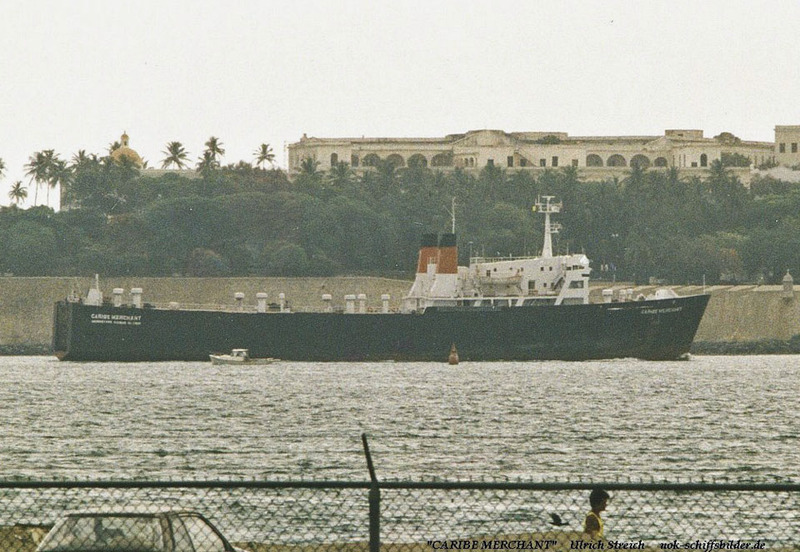 2006: Sold to Bay Six Lines, Freetown, Sierra Leone and renamed ANGEL PEARL. 2007: Sold to Cash Plus Shipping Ltd, Montego Bay, Jamaica and renamed PRINCESS CAROL. December 31st 2010: Laid up. June 6th 2012: Deleted from the Ships Register. All information is believed to be correct and no responsibility is accepted for any errors or omissions found. All items included in this article are subject to © copyright. We would like to take this opportunity of thanking: Frank Heine, Ted Ingham, Yvon Perchoc, Derek Sands, Simonwp, Ulrich Streich, Gordon Wise and Andreas Wörteler for their assistance in producing this feature. Hi , Massive container ship passed south close too going south! !, @ 16.20,, close too harbour, a y idea of name? If she had a light blue hull, could have been Madison Maersk? Not that BIG really. Ha! BTW: I did reply via your email address. Did you receive the reply or could you check your “Spam” to see if the reply was placed there?